Whanganui's Richie Dibben finished ninth overall on debut in the Supersport 600 class of the national Superbike Championships. Whanganui racer Richie Dibben saved the best for last in his debut Supersport 600 season. 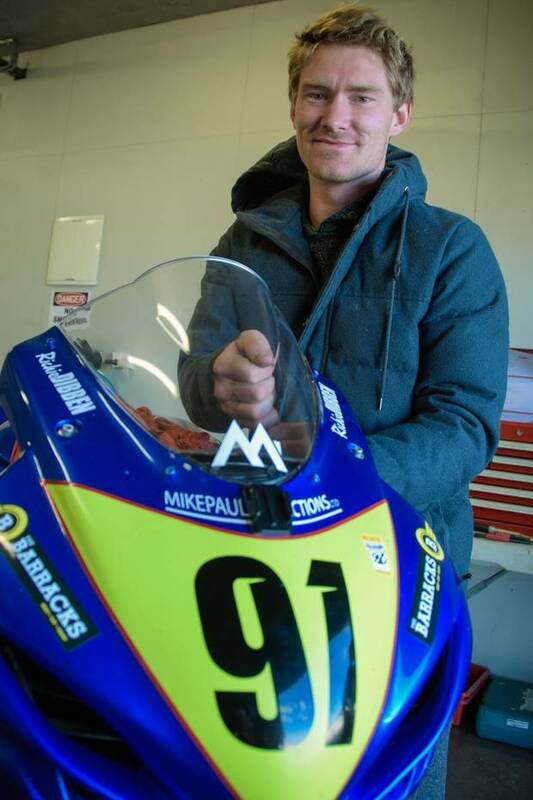 After a rocky season Dibben produced two excellent performances in class at the fifth and final round of the 2019 New Zealand Superbike Championships in Taupo at the weekend to finish the nationals ninth overall. The 600cc road-race rookie Dibben managed two fourth placings on his Barracks Bar/Total Span Steel Buildings-sponsored Suzuki GSXR600, on a programme reduced for this class due to successive crashes and numerous red (stop) and yellow-flag (caution) incidents. This enabled Kiwi international super moto specialist Dibben to finish the nationals not only ninth overall on season debut, but third overall in the fifth and final round. "Yeah, it was a slightly better meeting for me at Taupo after all the carnage early on in the season," Dibben said. 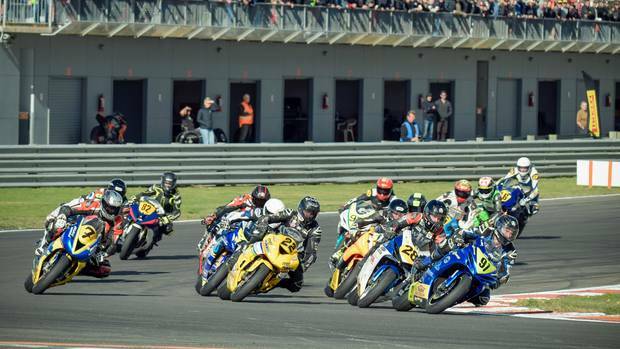 The season began badly with no racing in round one of five in the 2019 New Zealand Superbike Championships at Mike Pero Motorsport Park (Ruapuna) in Christchurch. Racing was halted after a serious crash in race one of the Supersport class on Saturday and then on Sunday a major oil spill during a sidecar race immediately before Supersport was set to restart, again halted proceedings, this time for good as the meeting was canned. The 29-year-old was taken out in race one of the second round of the national series by another rider who was later reprimanded for his behaviour at the Levels track in Timaru at the weekend. Then Dibben was missing from round three when he and his partner's daughter Millie decided to arrive eight weeks premature. She is back home from hospital this week and becoming great mates with her elder sister, two-year-old Pippa. "I did okay at Manfeild and again in this final round at Taupo, so I'm getting on top of things," Dibben said. His Barracks Bar/Total Span crew that also includes former national superbike champion Brian Bernard as mentor have done an exceptional job setting up both his GSXR600 machines. "The bikes are going real well, it's just a matter of me coming to grips with them. I'm confident the bikes are quick enough, it's up to me know. We have a winter series coming up and we'll just see how things pan out. I may get to a few meetings, but I am certainly going to contest the Suzuki Series at the end of the year. I will also race my super moto in that series," Dibben said.